The month of Pride is almost over, but it’s not too late to celebrate. 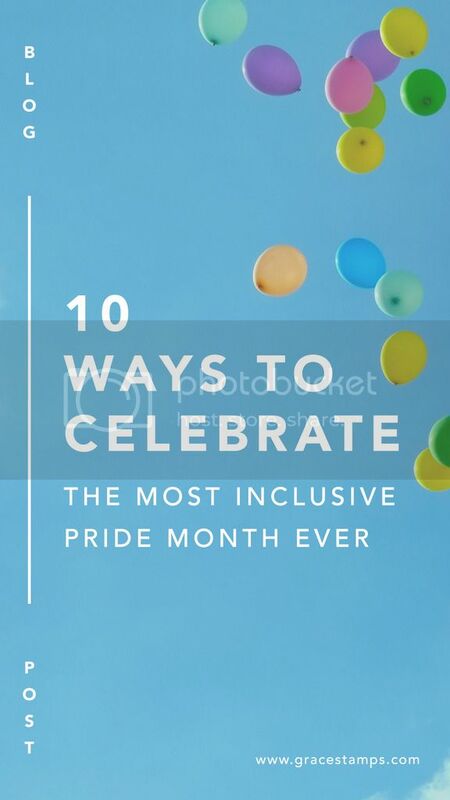 The following guest post was written by Oliver Owens, spelling out 10 ways you can still celebrate Pride month. Enjoy! Summer means one thing: Pride! People from around the world gather to celebrate the colorful past, present, and future of Lesbian, Gay, Bisexual, Transgender, Queer, Intersex, and Asexual people. June is Pride month, and here are 10 ways to celebrate! Did you know that The Stonewall Riots were started by two transwomen of color? Marsha P. Johnson and Sylvia Rivera are their names, and you can read about them here. Some modern depictions of The Stonewall Riots participate in the erasure of Johnson and Rivera. It is important to remember the roots. In all seriousness, there are a few great LGBTQIA movies on Netflix right now that showcase the varied experiences of our colorful community. The Weekend, a story of a deep connection over two days, is one of my personal favorites. Here’s another great listicle of top LGBTQIA movies on Netflix that showcase a spectrum of experiences. 3. Get tested (& spread the word)! Sexual health is important and many clinics offer free rapid HIV testing on a walk in basis during Pride. Year round, Planned Parenthood is a great resource for LGBTQIA-friendly healthcare, and information can be found here. Buy two rainbow flags. One for your wall, the other for your Super GayTM uniform. Buy rainbow socks, a rainbow belt, and a rainbow hat. Consider supporting community-run shops! A great example is Aydian Dowling’s .5cc clothing company, which celebrates trans visibility and pride. 6. Attend a Pride festival near you! Pride parades and festivals are held around the world. Invite your best pals for a gay time and definitely do attend a dance...or five — and be sure to dress to impress. Practicing your dance moves? This Spotify playlist will prepare you to become the best dancing queen there ever was. There is more to the community than the Cisgender Gay White Man. We all have different experiences and respect is important. We need to value each other, respect our differences, and change our behaviors if we learn we’re stepping on someone else’s toes. Speak up against hate, ableism, racism, xenophobia, sexism, ageism, fatphobia, transphobia, & homophobia— especially in our own community; this guide outlines harmful ways such phobias can be perpetuated. Educate yourself and grow. Always respect pronouns, even when it confuses you. Here’s a glossary of various gender identity terms to be familiar with. Support LGBTQIA-run businesses, whether that be a restaurant, a clothing line, music, visual art — let your dollars do the talking so the community can continue to influence and create. Self care is important, especially when legal protections for LGBTQIA citizens in the US are uncertain (if you need legal help, Lamda Legal is a great resource). Take time off from work, spend time alone, even skip Pride celebrations if it’s not in your best interest. Check out this list of mind and body self care tactics for more information.